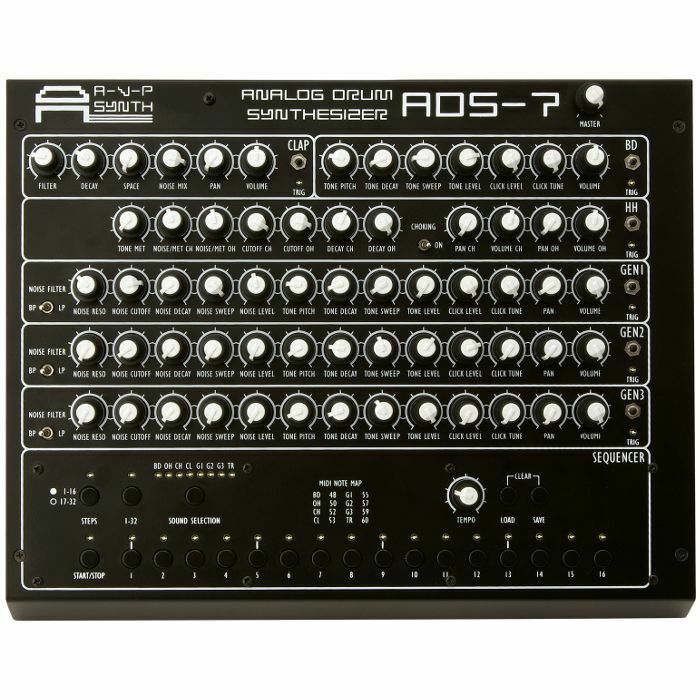 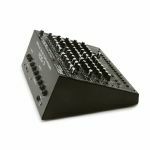 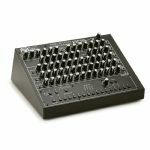 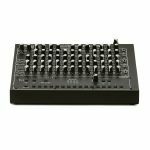 ADS-7 is an analogue drum synthesiser inspired by the drum machines/synthesisers of the 70s-80s with a built-in 32-step sequencer and MIDI control. 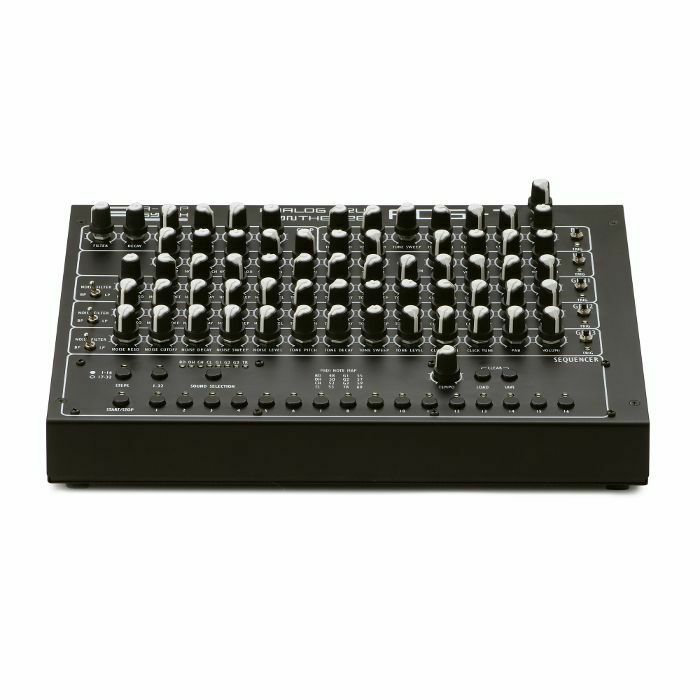 It has 65 controls, 4 switches and 28 buttons with which you can have a wide control over the sound parameters, sequencer and MIDI. 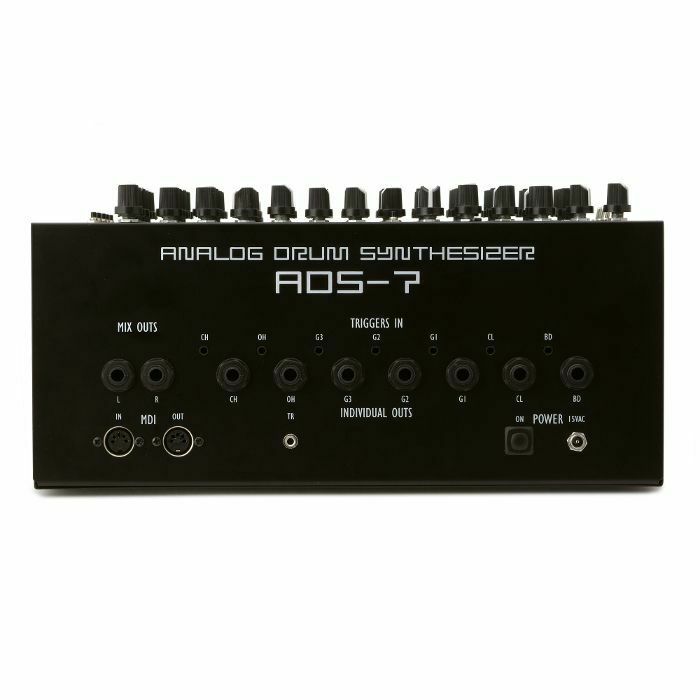 It has individual audio outputs and individual trigger inputs for each of the seven sounds. 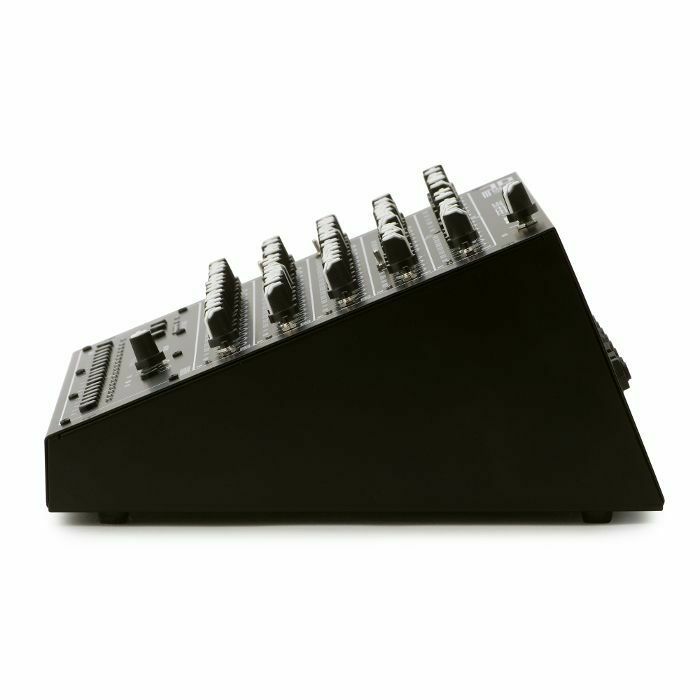 Assembled in Moscow/Russia using discrete components and OTA chips.